From the start of my work in fiber, I saved leftover yarn. 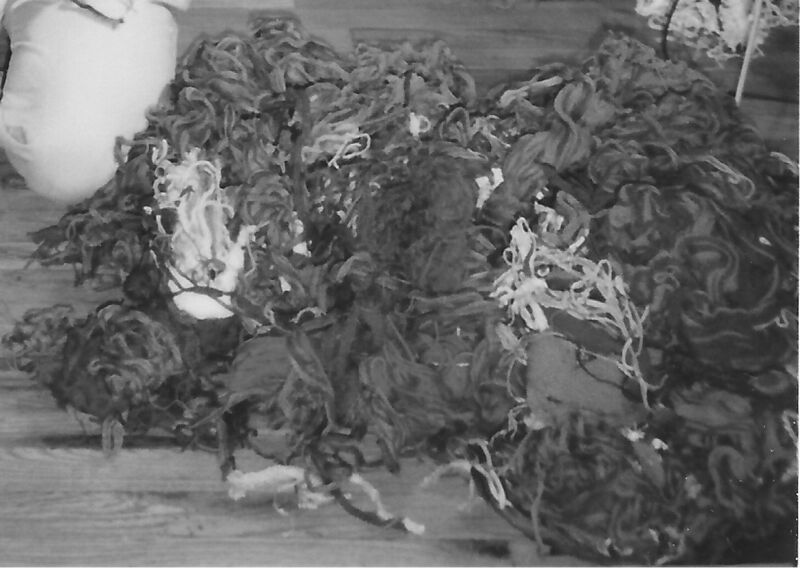 The scraps were used in the wasteweave series of works. The titles reflect some sort of wasting or a wasteful process. The final manifestation of the series is the transitional work Lifework Phase 2. The wasteweave works are listed on the Old Works page.